First of all, adventure requires leadership. We can’t push our experience into the unknown unless we are prepared to go first. We have to learn to lead, starting with how to lead ourselves. We’ll work on leadership skills such as goal setting, group dynamics, responsibility, and communication, what it means to lead and how we can get more comfortable taking the first step. Also, on navigation, map reading, route finding and planning, geography, weather, and hazards. Understanding how to navigate effectively without complete information is a key part of making any adventure possible. 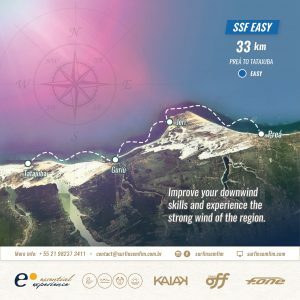 Critical life skill, a way to build your adventure skills on a week-long kitesurfing journey in one of the most incredible coastal landscapes in the world — the Parnaiba Delta and the Lençois Maranhenses. 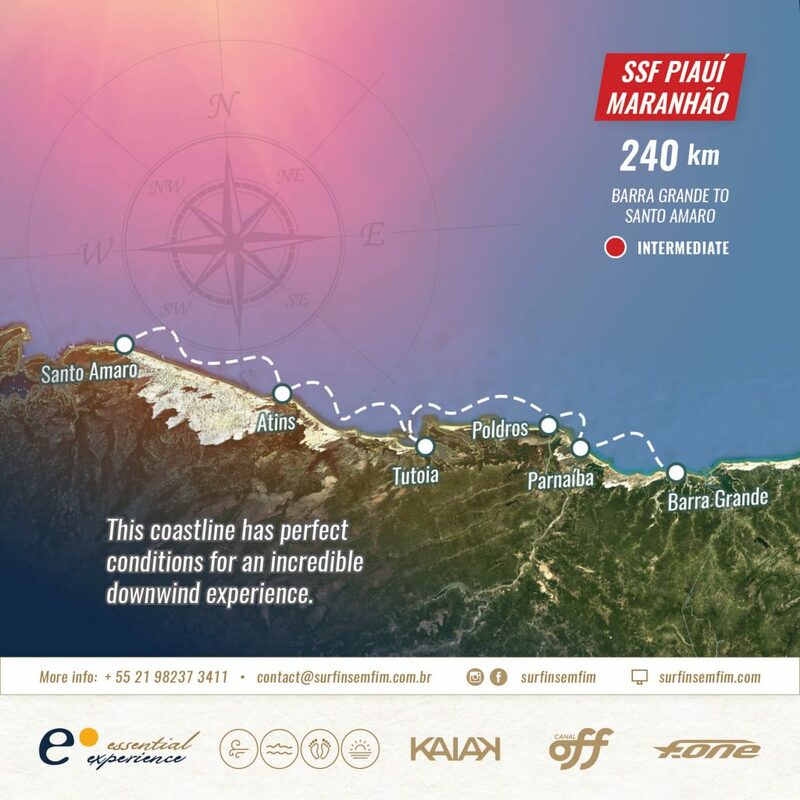 This trip is designed for those of you who want to go beyond participating as a client and learn kitesurfing adventure travel and on-the-water leadership, in the context of a long-distance kitesurfing trip. 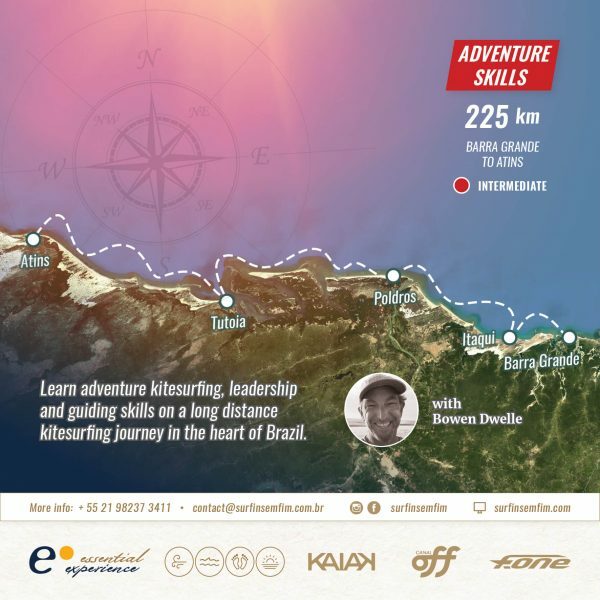 If you are ready to level up, our Kitesurfing Adventure Skills trip will give you what you need to plan your own adventure kiting trips, opening a window to a new world of kitesurfing adventure. Arrive and check in at Barra Grande Kite hotel. We’ll meet in the early afternoon for a first introduction and an equipment check. We will be working as peers and leading each other throughout our week together, and so it is especially important that we all have all of the required equipment and that it is in good condition. Barra Grande is a small town with very limited supplies, so come prepared with what you need! Failure to bring mandatory gear and not meeting the standards of the equipment check may disqualify you from participating in the course for safety reasons. A full equipment list will be provided as part of your pre-trip briefing. After dinner together in the village, we’ll retire for the night, dreaming of our first day on the water! Our first day together will start with setting goals. What are we here to do together? What are your individual goals and priorities for the week? Goal setting is key to achieving results, and appropriately challenging goals are critical to getting into flow. The route from Itaqui to Poldros makes for a longer day on the water with some challenges. The first section takes us offshore as we cross the bay to Luís Correia, and then, once we round the pier there, again offshore and often with lighter winds to the port of Pedra do Sal, where we get our first taste of waves – and some lunch. After a break we cross the mouth of the Panaíba river for the final stretch to Ilha dos Poldros, encountering unique sand bars and more waves on the way. The longer day on the water will give us an ideal opportunity to practice endurance methods, moving meditation, on-the-water safety, leadership and communication skills. 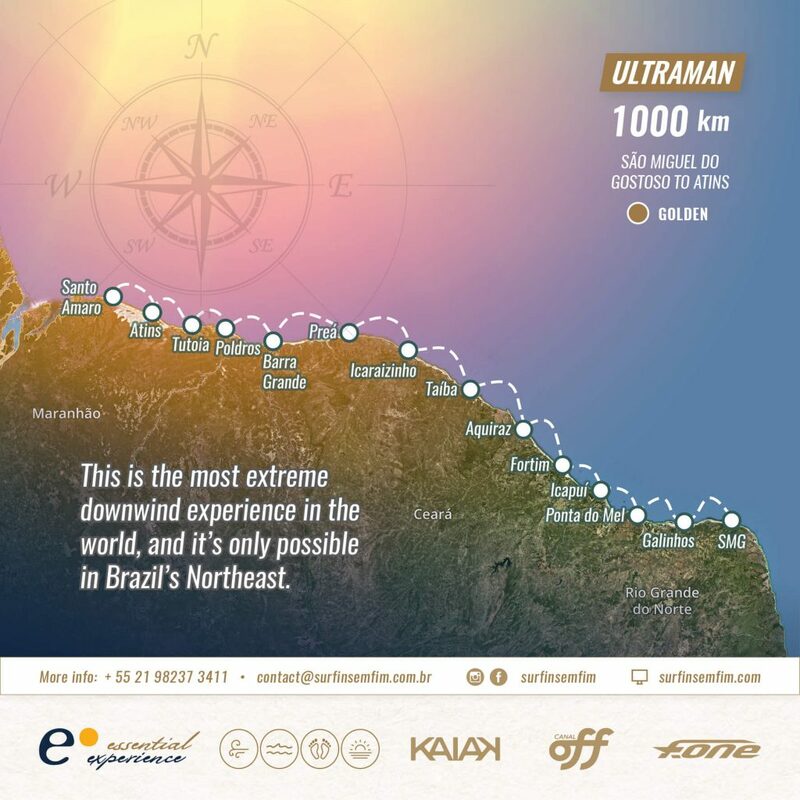 Another fairly long day on the water along the remote coastline of the Maranhão will test our endurance and group dynamics as we make our way to the idyllic village of Atins. Depending on where you’re heading off to, you’ll likely have an early departure from Atins. If you’re heading to Barreirinhas or Sāo Luís, enjoy the breeze in your hair on the ride up the river.